ShowBox is an absolutely free video streaming app to watch unlimited popular movies and TV shows with great quality. Unfortunately, it’s only available for Android devices, which means you cannot run directly on a Windows computer. However, with the help of the Android emulator, you can make this impossible possible. The following article will explain the detailed steps on how to download and install ShowBox for PC. 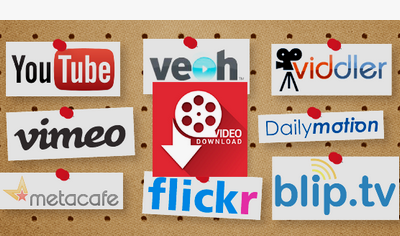 This is a video downloader that is completely free, clean, free of any plugins, bundles, and advertisements. With Free HD Video Converter Factory, you can download desired video, music as well as movie to PC from mainstream sites like YouTube, Facebook, Twitter, etc. 1. OS Required: Windows 10, 8.1, 8, 7, XP. 2. Program Required: MEmu or ARC Welder or other credible Android emulators. 3. Minimum RAM Required: 2GB+ is recommended. 4. Disk Space Required: 4GB space should be sufficient. In some cases, you may encounter that after clicking the Download Showbox.APK button, the ShowBox app is not directly downloaded. Instead, it jumps to here - http://apkadvisor.com/showbox-apk/. In this case, you can download ShowBox apk through some download sites like https://show-box.en.uptodown.com/android/download/1721252. Since ShowBox is an android app that will only run in an android system or when a similar ecosystem is replicated elsewhere. Hence, we will need to download Android emulator for using ShowBox Windows app. Step 1: Firstly, visit http://www.memuplay.com/ and download MEmu. Step 2: Run MEmu, the first boot may take up to 2-3 mins depending on your PC’s performance, please be patient. Step 3: After the installation is complete, click on “Install app” on the menu. 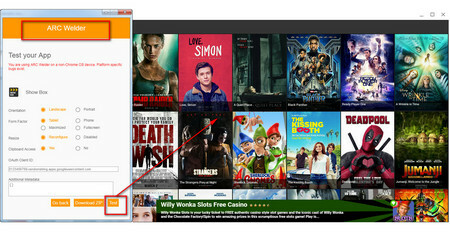 And then, you can use the ShowBox to watch movies and TV shows for free on your Windows PC just like on an Android phone. 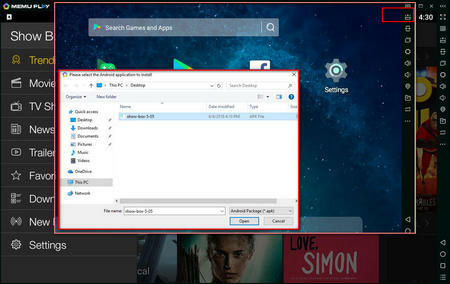 Step 1: Open your Google chrome and download ARC Welder from https://chrome.google.com/webstore/detail/arc-welder/emfinbmielocnlhgmfkkmkngdoccbadn?utm_source=chrome-ntp-launcher. Step 2: Click on “ADD TO CHROME” to install ARC Welder. And then click on the option “Add App”. Step 3: Go to chrome://apps/ and open ARC Welder. And create a new category for ARC welder. Step 4: Inside the ARC Welder, press “Add your APK” and add the app showbox.apk. Once done, click on “test”. Step 5: Finally, you will be able to run ShowBox Windows apk on your PC. These are the two most effective ways to download and install ShowBox for PC. They have their own advantages and disadvantages. MEmu is more frequently updated and more applicable. However, compared to MEmu, ARC Welder does not require too much space and requirements of computer. So, you can choose the more suitable one according to your actual situation. Or both can be tried, after all, you do not have any fees. I hope this article really helps you and thank you for sharing it with more friends. Free HD Video Converter Factory enjoys an excellent reputation among users. 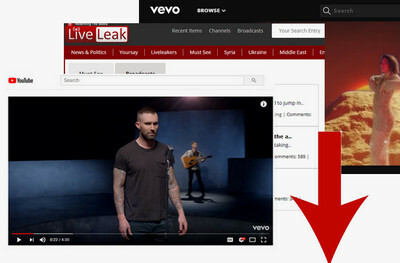 As a powerful video downloader, it can download videos, music, movies from mainstream video sharing sites to your PC. Download it to have a try!